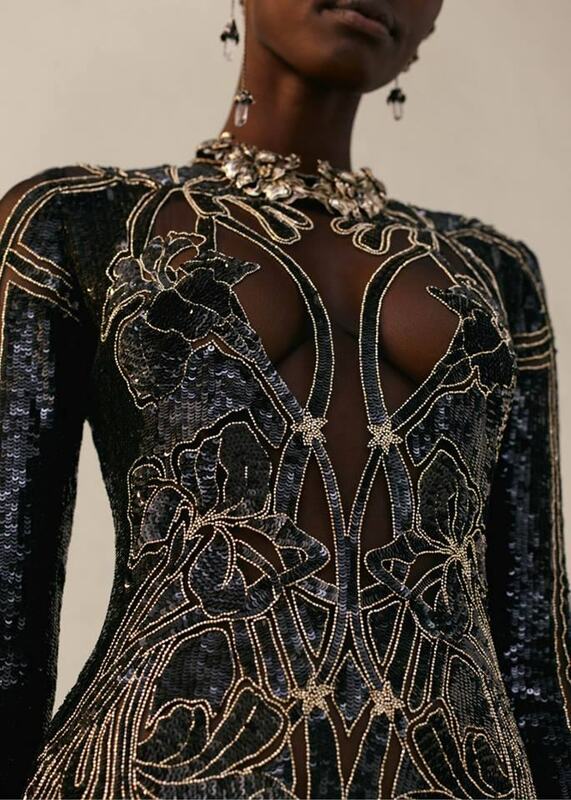 Exotic iris embroideries are inspired by the curved lines of plants and flowers and the decorative and languid beauty, for example a fine-knit dress is worn with an Art Nouveau harness edged with antique gold studs. The dress is finished with bold, sculptural ruffles at the shoulders and at the cuffs of slender, elongated sleeves. 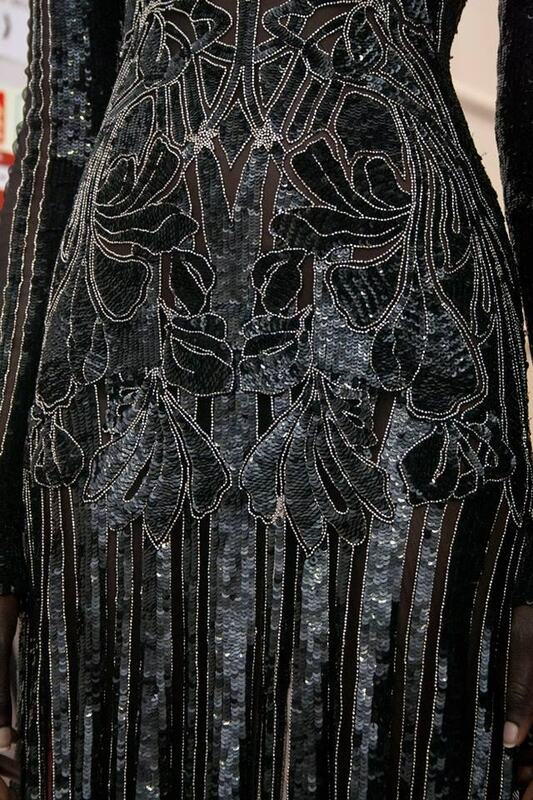 Next is black wool silk double lapel tailored jacket and cigarette trousers or an ivory Irish crochet lace dress with elongated sleeves features three-dimensional flowers and tangled garlands of leaves.